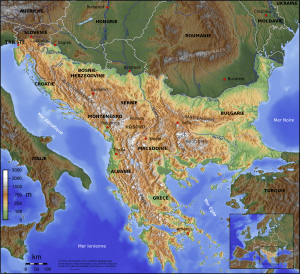 On July 12th, 2017, Trieste hosted – after Paris (2016) and Vienna (2015) – the annual Western Balkans Summit, the official purpose of which is to favor the stabilization of Western Balkans including six more of them as European Union Member States. But the problem is, this integration in the EU would be destabilizing. The summit held in Trieste is in facts the third meeting of the Westbalkan Prozess launched by Germany in 2014 with the Konferenz zum Westlichen Balkan held in Berlin to strengthen its influence over the weak States of South-Eastern Europe, using the EU as an instrument to escape the common strategies of the NATO and of the United States. Since the end of the ‘80s, Germany and Italy attempt to gain the role of regional powers over the instable strip of former-communist Countries left behind by Russia in the West as both military shield and political baits. And, so far, the Italian and German operations in this area have damages the strategic balances of the NATO area much more than those of external opponents. The political theses of Germany and Italy to have the right to conquer once again, in Eastern Europe and in the Balkans, the supremacy and roles lost after World War II is a consequence of the Western strategies during the Cold War, consisting in years of legitimization of German and of Italian revanchism in an anti-communist and anti-Soviet perspective. For this purpose, from 1945 to 1989, the democratic West has supported and fuelled the most extremist right-wing European organizations, however, later, it did not deactivated them to prevent them from turning against western democracy. The same way as it happened with the mujāhidīn in Afghanistan. The difference is, while extremist, pseudo-Islamic sects have unleashed an open war against the West, forcing it to fight, the network of European revanchists acts influencing the domestic and foreign policy of Germany and of Italy, with operations that, therefore, the other Western Countries and the EU do not question. The roles of the two Countries in such operations are complementary: Germany does not involve itself in that directly, however, it provides them with numbers of supporters and logistics bases, while Italy uses claims against Slovenia and against Croatia on a State level to attempt creating legal and political-diplomatic precedent cases of breach of treaties and principles of international law. This action plan was also made official in 2007, in Trieste, with the union of all European revanchist organizations, from the Baltic to the Black Sea, in an umbrella organization lead by Germany and Italy, the Europäische Union der Flüchtlinge und Vertriebenen / Unione Europea degli Esuli e degli Espulsi / European Union of Exiled and Expelled People. Also, between the European, far-right revanchist circles and extremist pseudo-Islamic sects there are connections and ideological affinities, criminal traffics and the interests to the partition of the Mediterranean area cutting out the US, NATO, and Russia. The increasing human costs and strategic damages caused by the underestimation of those autonomous German and Italian operations in the Balkans and in Eastern Europe have already been proved by the artificial, preventable wars that dissolved Yugoslavia first, destabilizing the Balkans, and then divided Ukraine, destabilizing the political and military balances between NATO and Russia. At the same time, the Italian Government has manages the temporary administration of the present-day Free Territory of Trieste to prevent its functions of international Free Port and independent financial center from being used to favor the stabilizations of the Balkans and of Eastern Europe. In particular, we specialized (LINK) in analyses that contrast the operations with which Italy, together with Germany, favored the wars in Yugoslavia that the US were trying to prevent, and with which it did then politically attack independent Slovenia and Croatia with revanchist operations that were repeatedly blocked from Washington. Instead, for so many years, the Authorities of the EU made themselves accomplices of the destabilizing actions of Italy and Germany, either pretending to know nothing about it or supporting the German-Italian thesis that, in order to stabilize the Balkans, it would be necessary integrating them in the European Union, under conditions that have already damaged Slovenia and Croatia, but are leading to energy reactions in Hungary. As the whole construction of the EU is collapsing because it forces on different geo-economic areas an integration made of bureaucracy, worsening economic unbalances and ruining weak States, it increases the German predominance and undermines the relations with the US, the only guarantor and historically reliable allay of Europe. Even during the July 12th summit about Western Balkans that was held in Trieste, their integration in the EU was advocated proposing unfavorable agreements and promising German investment, together with the old rethoric about Western-European superiority and the “Balkanization”. The “Europeanist” theses about the Balkans, in facts, continue implicitly or explicitly, to perpetrate the racist political myth of “Balkanization” as a sort of genetic inclination of the people of the Balkans to degenerate into violence, which therefore needs to be remediated by the superior “European civilization”. Instead, the true “Balkan” nature of those people consisted in their cultural tradition to live together and trade in peace for centuries, all od this while they were overwhelmed by the wars between Empires and while Western Europeans were slaughtering each other in never-ending, fratricidal wars. The negative “Balkanization” was created, in the 20th Century, by the very same Western politicians who have destroyed the historical coexistence of those people in Austria-Hungary first and then un Yugoslavia, every time transforming the Balkans in a political void contended between German, Italian, and Russian imperialism. Whoever wants to have a better understanding of this area should start at least to read Most na Drini (Na Drini Ćuprija – The Bridge on the Drina – Il ponte sulla Drina) by Bosnian Nobel Prize winner Ivo Andrić (1945), and of the Réflexions sur la fin d’un Empire by Hungarian-Austrian-French Yves de Daruvar (1980). The strategic problem of stabilizing the Balkans is urgent and complex but, indeed, its external origins prevail on the domestic ones. And it is not just about the military defense of the area, which can and must be granted by NATO and by US bases. The true problem is granting to those Countries and their area the balanced and sustainable economic development they need for an effective social and political stabilization. None of which will be possible is, one after another, they are reduced to poor EU Members colonized by German and Italian expansion. 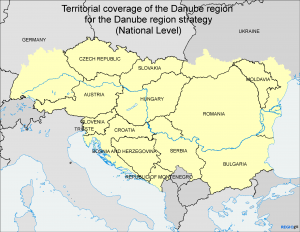 The correct solution is a comprehensive strategy to consolidate the whole geo-economic Danube region, to which Western Balkans belong, under the shape of a free federation of States made of economic agreements based on real, mutual convenience, as well as on the traditional plurality of their languages, religions, and cultures. As part of this solution, the Free Territory of Trieste, a little European sovereign State with an international Free Port and independent financial center, has a much different role than hosting the neo-colonial operations of Italian and German revanchism. Because, as geography, economy, and history teach, Trieste is, at the same time, the gate of Western Balkans, as well as the mediterranean terminal of the Danube Region.